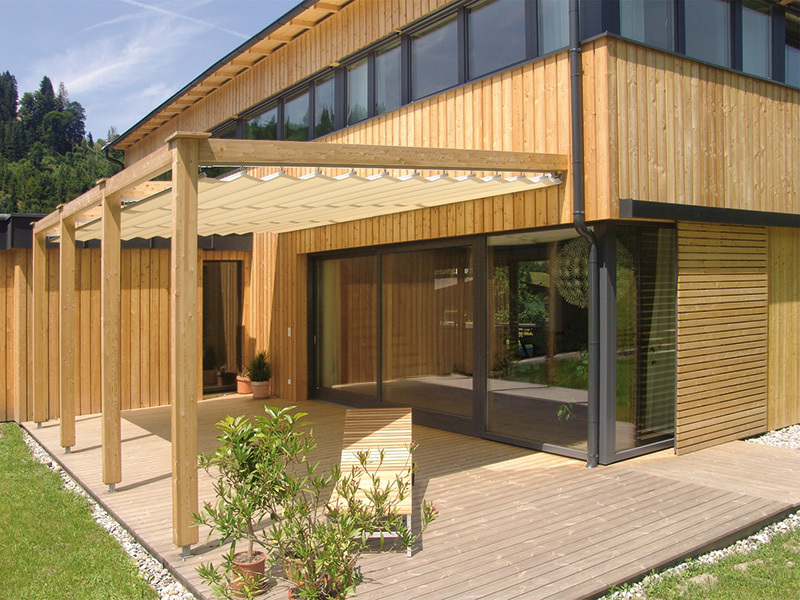 With all the standard features including quality design, the highest degree of craftsmanship and German hardware, Paarhammer Wood-Alu products feature the warmth of timber on the inside, and low maintenance aluminium on the outside, and are custom made locally to your specifications. 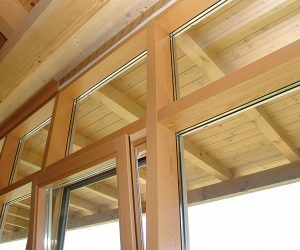 Double or triple glazed and a variety of glass and timber options, including FSC® certified, are available. 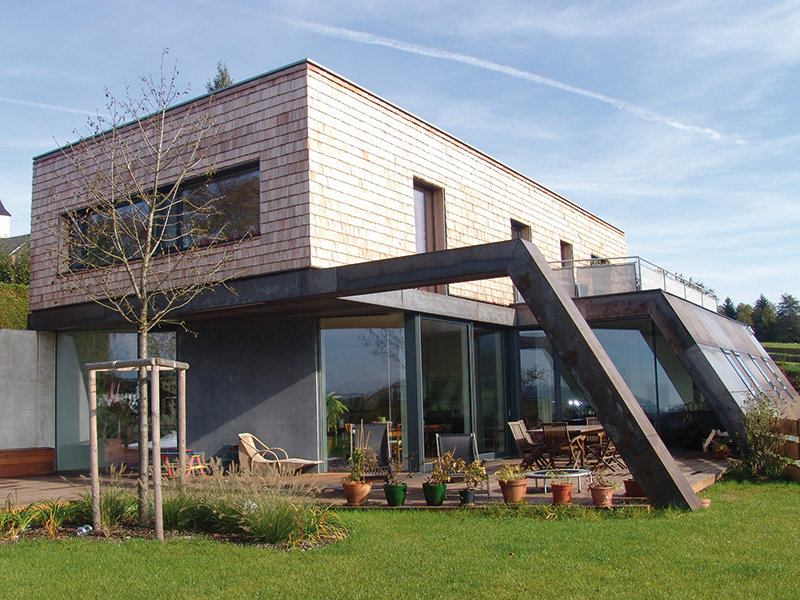 The engineered exterior aluminium framing is powder coated, with a wide range of colours to choose from. The internal timber can be factory spray painted in a variety of stains or solid colours to suit your design. 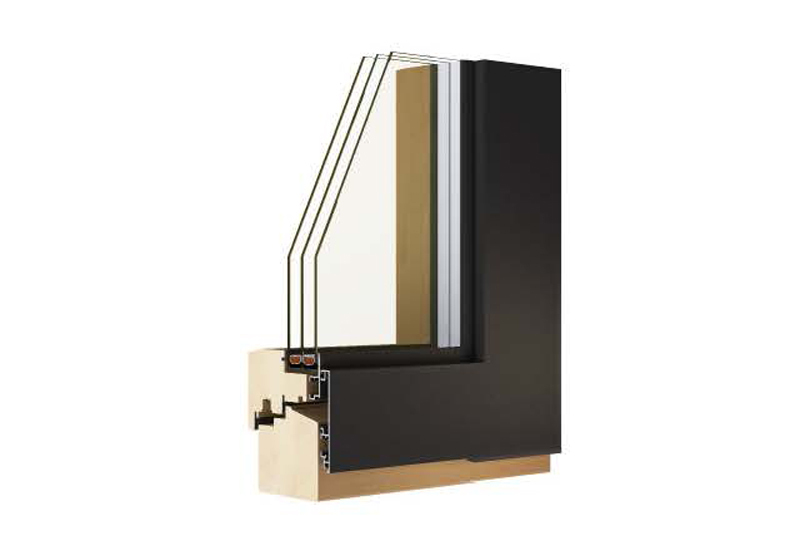 A revolutionary back-vented clip-on technique provides ventilation between the outer aluminium and inner timber frame, extending the durability of the window or door. With a very narrow aluminium strip on the sash, the design presents a modern look and is suitable for residential and commercial applications. 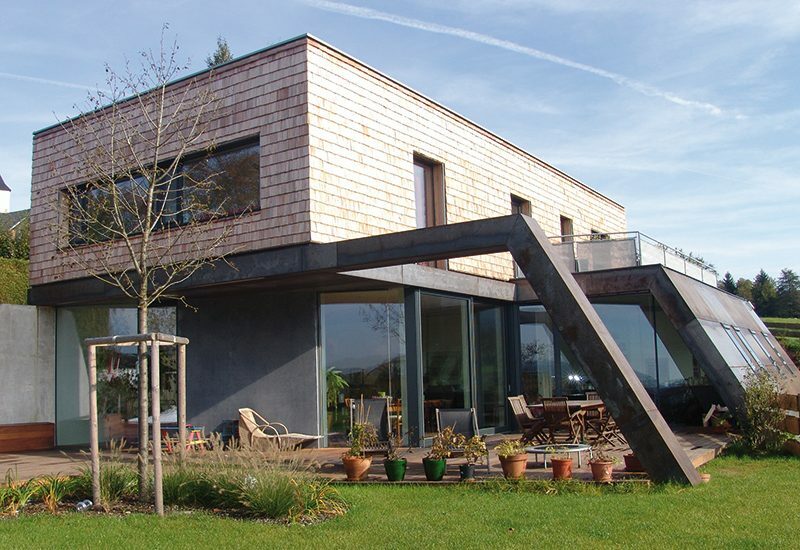 Paarhammer Wood-Alu products can also be used in conjunction with the Paarhammer ECO-Façade. 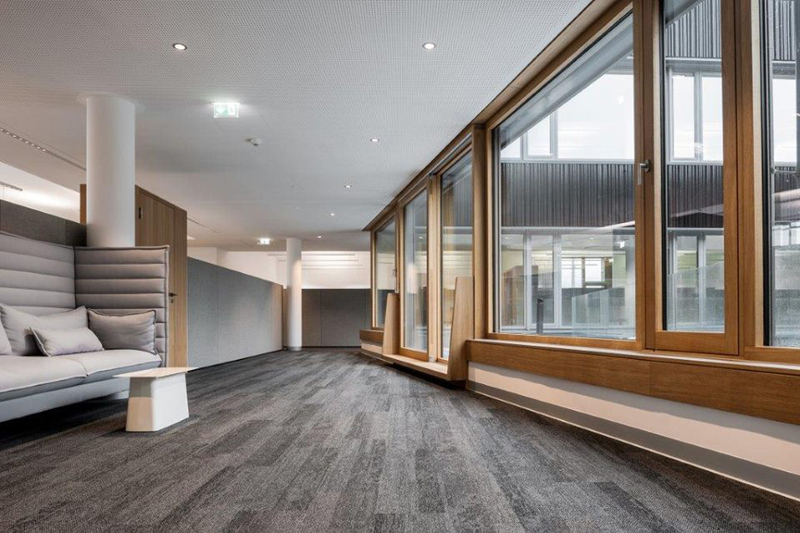 Patented German hardware provides unparalleled security and strength, and the highest energy efficiency with U-values from a low 0.9, no drafts with low air infiltration from 0.05, and an astonishing noise reduction of up to 42dB. 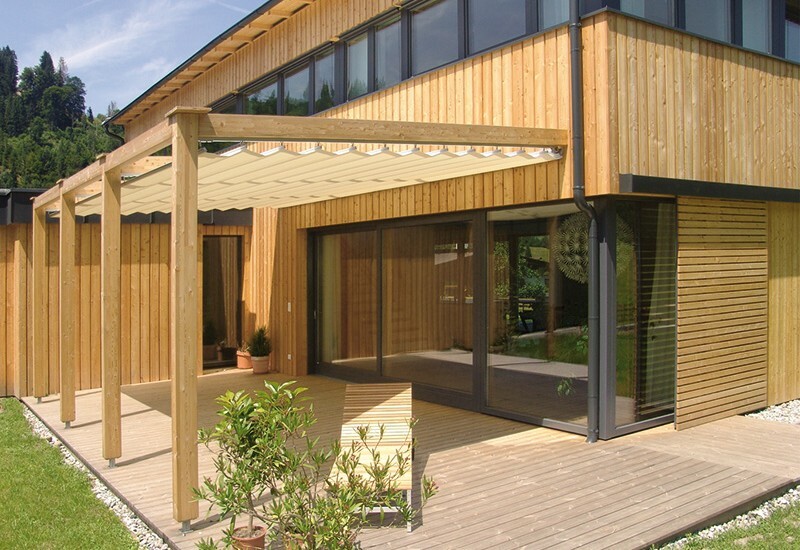 The custom made Wood-Alu range includes tilt & turn windows, fixed windows, hinged doors, French doors, and sliding doors and bi-fold doors are available in a variety of configurations. 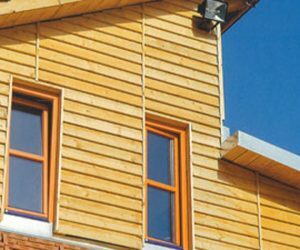 Paarhammer Wood-Alu Range combines the advantages of hardwood timber windows and doors with low maintenance aluminium, delivering the best of both worlds. 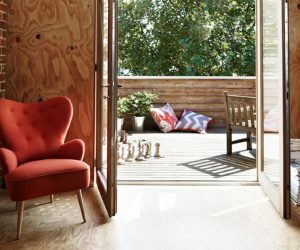 Paarhammer have developed four product ranges – the energy efficient Architectural Timber Range, the best of both worlds Wood-Alu Range, the economical Komfortline, and the tested and compliant Bushfire Safe Range (up to and including BAL-FZ). Each range presents a practical solution while delivering high performing windows and doors with superior results. Paarhammer windows & doors are double or triple glazed for the highest energy efficiency, and all finishes are low VOC (Volatile Organic Compound). Paarhammer can also deliver an astonishing noise reduction of up to 45dB - that is some 80-90% over conventional windows. Made in sustainable manufacturing facilities with light, water, and waste management systems.